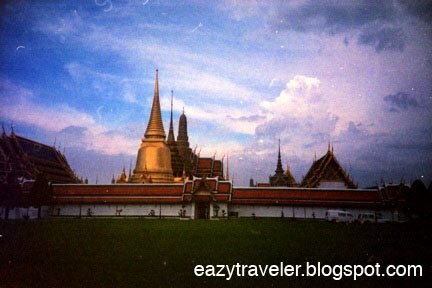 Located within the Grand Palace grounds, the Wat Phra Kaew or Temple of the Emerald Buddha houses a 66-centimeter tall image of Buddha made of nephrite (a type of jade). “Emerald” refers to the green color of the relic. 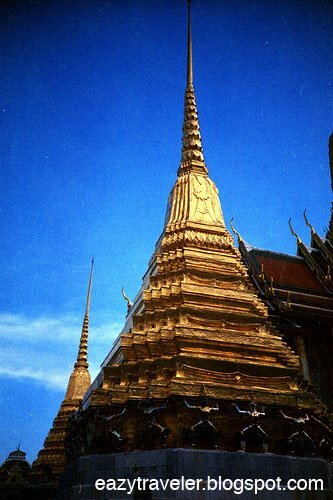 Although the true origin of the image is a mystery, the image has been looted and reclaimed many times over through the centuries amidst violent conflicts and truces between Thailand, Cambodia and Laos. 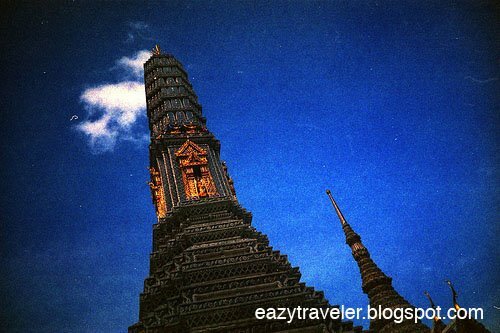 Construction for this temple was initiated by King Rama I when the capital was moved from Thonburi to Bangkok in 1785. Magnificent sculptures of demi-gods, demons and chimeric beings prosper about. By the entrances, giant demon gate-guardians called yakshas greet visitors. 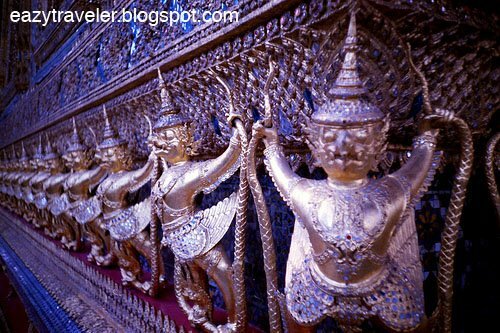 A ring of gnarly garudas and nagas (mythical birds and serpents) guard the exterior of the central ubosoth (central ordination hall), where the Emerald Buddha reigns over an opulent throne of gold and gemstones with extensive murals depicting the Ramakian (Thai version of the Ramayana) adorning its inner walls. As the searing sun descends long into the afternoon, natural light ricochets from the gilded fringes of the temple’s roofs, sating your eyes with beatific glimmers of gold. 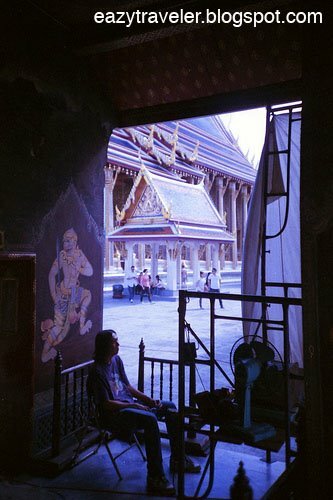 Retreating from the Bangkokian heat, you can take shelter in the shady cloisters bordering the complex where more wonderful murals can be admired, away from the hullabaloo of giddy tourists. 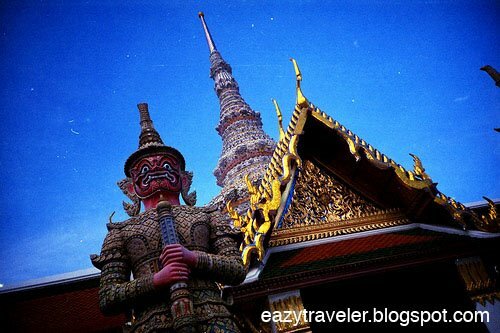 Wat Phra Kaew is open from 8:30AM to 3:30PM (entrance fee includes Grand Palace: THB 250.00). One can get off the Chao Phraya river ferry at Tha Chang pier. I got to the area by metered taxi from Dusit Thani Hotel along Silom Road, which cost me THB 99.00 through moderate traffic on a weekday afternoon. For detailed information on the temple, buy the fund-raising booklet guide (THB 20.00) by the entrance to the ubosoth. Photography is strictly prohibited inside the temple buildings, most especially in the ubosoth. Also, temple etiquette does not permit one to enter sacred places in shorts or sleeveless shirts; and footwear must be removed before entering holy places.